In this talk, I will present our recent research on collaborative sensemaking (to appear at VAST 2014). When people work together to analyze a data set, they need to organize their findings, hypotheses, and evidence, share that information with their collaborators, and coordinate work activities amongst members of the team. Sharing externalizations (recorded information such as notes) could increase awareness and assist team members to better communicate and coordinate their work activities. However, we currently know very little about how to provide tool support for this sort of sharing. We explored how linked common work (LCW) can be employed within a ‘collaborative thinking space’, to facilitate synchronous collaborative sensemaking activities. Collaborative thinking spaces assist team coordination by providing an environment for analysts to record, organize, share and connect externalizations. Our tool, CLIP, extends earlier thinking spaces by integrating LCW features that reveal relationships between collaborators’ findings. We conducted a user study comparing CLIP to a baseline version without LCW. Results demonstrated that LCW significantly improved analytic outcomes at a collaborative intelligence task. Groups using CLIP were also able to more effectively coordinate their work, and held more discussion of their findings and hypotheses. LCW enabled them to maintain awareness of each other’s activities and findings and link those findings to their own work, preventing disruptive oral awareness notifications. 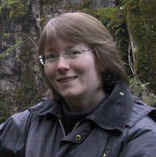 Melanie Tory is an Associate Professor of Computer Science at the University of Victoria, Canada, where she conducts research in visualization and visual analytics. Tory received the Ph.D. degree in Computing Science from Simon Fraser University in 2004 and held an NSERC post-doctoral fellowship at the University of British Columbia from 2004-2006. Her research applies to a wide variety of areas spanning natural sciences and engineering, business, and personal informatics; for example, recent projects have focused on the domains of Business Intelligence and Building Design Engineering. Tory actively contributes to the visualization research community and is Papers Co-chair for IEEE InfoVis 2014-15. The work presented in this talk is part of the Ph.D. research of her student, Narges Mahyar.